Around here, we live bent low. Tuesday morning ladies from Masese stream through my front door. We have moved our weekly meeting from the slum of Masese to my living room because I have been up all night and just can’t imagine getting all 13 of these little people out of the house. Excited about a change of pace and my sweet friends in my home, I enlist the help of darling Tamara and 13 eager little girls to give these ladies pedicures. We wash and we rub and we paint. I rub lotion into old scarred feet and think of the journeys they have traveled. I whisper thanks for the ways they have blessed me and the things they have taught me, and here in a puddle on the hard tile floor, Joy overflows. It is on this same cold, smooth tile that I kneel hours later, face inches away from the burn on Makerere’s calf. The stench doesn’t even bother me anymore. And while it looks horrific to outside eyes, I remember what it looked like months ago and ever so slowly, I can see the healing. I can see the healing in the blood red life that spills out as I bandage and in the smiling eyes that tell me stories as I work. Laying on my belly with a surgical blade I scrape out the dead and do my best to preserve the new pink tissue that is starting to form around the edges. He laughs and says, “I have told you now all the stories I have! It must be your turn.” And I tell him a story of a Heavenly King born as a pauper and of a Body broken for me and for him and for each one of us. And I don’t even realize but there are tears on the tile and I sit astonished that messy, inadequate, ungraceful me would get to share such a story. We sit in the dirt, not worried about the red stains and serve 400 plates of food to sponsored children on Saturday. I look into these faces and remember them nearly 4 years ago, destitute and hopeless and starving. Afraid of my funny white skin. We feed them lunch and we feed them God’s Word and we watch them transform. We feel like family now, no one noticing these skin differences. The suns rays beat down the glory of God and covered in mud and chicken broth I know that this is contentment. Our family sits on the street corner down town sharing ice cream and laughter. My daughter bends low to offer a homeless man her popsicle and as he cries that no one cares about him she looks straight into his face. “We will be your family,” she asserts, and she means it. We kneel on the pavement and we pray and people stop to look but we hardly notice because we were made for this. I bend to sweep crumbs and I bend to wipe vomit and I bend to pick up little ones and wipe away tears. I bend over a big pot of stew and I bend to fold endless laundry and I bend over math books and spelling sentences and history quiz corrections. And at the end of these days I bend next to the bed and I ask only that I could bend more, bend lower. Because I serve a Savior who came to be a servant. He lived bent low. And bent down here is where I see His face. He lived, only to die. Die to self and just break open for love. This Savior, His one purpose to spend Himself on behalf of messy us. Will I spend myself on behalf of those in front of me? Katie, you are doing breathtaking work. You inspire and encourage. Bless you for this post and for being willing to write and serve with joy. Thank you for serving Him by serving us and Eden these past few weeks. You have seriously walked her through some of the toughest nights and we are so grateful. Love you! Beautiful post Katie! Love you so much! Praying for your family and for precious time with Gwen and Suzanne! Convicted and motivated. I too am thankful He spent Himself on us. Thanks for sharing His heart through your life with all of us! Your words today are poetry, taking us to the place where you are, where He is, where we all need to be. Thank you for the glimpse into life service. So touching! A friend directed me here after reading a post I wrote. What a good, good reminder to bend low to find Him, wherever we are. Beautiful....how our vision.... our view of the world around us changes depending on the posture. Eyes...heart...body...bent low....thanks for the encouragement to bend low right where I am. A friend (www.sunnymama.net) posted a link to your site on fb, and although I don't have the time to stop & investigate most things my friends post, I felt pulled your link. The title of her post read, "Please Lord allow me to bend as low as you, to not be served but to serve. Beautiful post for all to read and think about...". Your words are so poetic. Your love for Jesus first is evident, and the service you give is just the fruits of his spirit pouring out of your life. Thank you for this. You will be lifted up in prayer, sister! I'm crying...I will share a link to your post on my blog today. Hugs and prayers as we all strive to bend lower. I love the song talking about meeting Jesus. As it talks about whether we will meet Jesus with singing, dance, or falling to the knees...all I can think of is being face first on the ground worshiping. Thank you for this post. It gives me a better perspective today...everyday. Your post is so encouraging to me thank you for writing it. Thanks for the reminder that He came to serve and to give his life. And that I will find the most joy when I am serving where he has place me. thank you for this. i needed this. Beautiful! It's a good thing I can type my response, because I can't even speak right now. The tears are flowing. What an incredible gift you have been given. Faith. You are so very blessed to be there, being the hands and feet of Jesus, living with nothing material, but being fulfilled just to bend. May we all be inspired. Thank you, Katie. Thank you! Katie, Katie, God is beautiful thru you. Oh, Katie! WOW! I can't even begin to describe what an inspiration you are to me!! I thank God that you let Him constantly pour His love through your life into the lives of others- both where you live and all around the world! Praying that God blesses you and your girls and Amazina TREMENDOUSLY!! Sooo love your heart full of God and His love!! Thank you!!! A good reminder of why we are put on this earth. I love this. ...so AMAZING! I was forwarded your blog url earlier today after talking to a friend about another friend who is on the way to Ethiopia to adopt a little girl. I began reading your blog with the most recent post, then read all of 2011 and then went to the beginning and read 2007 ... What a transformation!! God is awesome and he is doing a wonderful work in you and through you! Praise be to God for his ability to use broken vessels to touch lives and do amazing things! To look back at how you have matured in three + years brings tears to my eyes. To take a lovely young woman with the love of God in her heart and place her half way around the world is one thing. To take her from "willing to serve" and stretch her into a "beautiful soul bent low in service" is simply remarkable. May God our Father continue to bless you richly with the strength and compassion you need to bend low each day, to pray over the lost and hurting and to welcome the little children as your own. Even if their life is measured in minutes. I am blessed and encouraged by your words today. May I bend lower each time I have the privilege to serve! You astonish me every time you write a new post. You are in my prayers so often. Your wisdom is well beyond your years. You are an inspiration to me. Thank you for sharing your journey. Thanks for the reminder and inspiration to keep bending despite the direness. this is so beautiful. pray for you and your babies. Wow... I watch eagerly on your website every day for new posts. Each new writing is AMAZING. I want to be just like you when I grow up. You are loved and admired by many more people than you know. I´m a girl from Mexico, I´m AMAZED of what are you doing,but even more of your heart for Christ, that makes me be closer to Him, know him even more. thank you soooo much, for sharing your life, you are a tremendous blessing. I don´t know where God will send me, but i definetly want to follow him.. sometimes its hard to get focuse because all the distractions we have, but i definetly want to use them for good.. I love your heart for others... My dream its to go to Africa too! 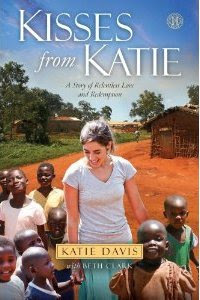 please pray for me.. and THANK YOU for taking care for all those lifes as jesus did..
Katie, this is so touching! You are such an amazing woman and when I grow up I want to be just like you serving our heavenly father every day! You are a gift from God to so many and are raising children to be just like Him. I am in awe of what a servant you are. You are in my prayers! What a beautiful image of our Savior.....and who we should be bending lower and more. Thank you for this post and offering to be God's hands and feet. May we always live bent low, face to face with Jesus. It is the place of glory. such grace. thank you for bending over keyboard and sharing His heart. Bless you dear girl. You are in my prayers. Amazing! This post almost takes my breath away. How clearly you are living out the gospel, and you are also teaching the same to your children. I will be praying for you that the Lord will continue to give you strength. You are a blessing, and your words are always an encouragement to me! I am thankful for you and your life, although I have never met you! It's what we're made for... to bend low... bent low with prayer, low with service. And that's where we meet Him. You captured it perfectly in this post. Thank you so for the blessed reminder, dearest Katie! I am a new reader to your blog and I have to say I am in awe of your heart! Your words are so powerful and well-written. I pray that I, too, can bend lower. Many blessings to you and your beautiful family! thanks sister, for reminding me that it's a blessing to bend, even to break...right when i was getting tired of bending. As I read your words I could feel the Spirit moving. Thank you for the reminder that bending low is a blessing, not a scourge. And that in doing so, we bend closer to the heart of God. Lord that we may keep pressing into You, unworthy as we are! Thank you jesus! Today my King! I want to bend low! This is so powerful, Katie. Thankful for your heart for the bent and broken. Continually being inspired by your life bent low for the broken lifted high. This is a beautiful way to share Jesus love for us. Thank you! Thank you, Katie, for speaking Truth into my life this morning. Praying for our Lord to sustain you and deepen your joy as you bend for Him. Thankful you are willing to share the story of what He is doing in and through you. Grace and peace to you and your girls. I am always so humbled when I read your blog. I just convinced my husband to turn off our cable TV and home phone service in an effort to save money and live more humbly. Yet it doesn't compare...I'm not getting lower and lower in my effort to reach Christ. But I will. Thank you. You do not know me. My name is Beckie I live in Silver City, NM. Thank you for the example you live. I pray I will learn to "live down low" here in our community. Maybe my mission will be my children or they elderly. I pray I will here our Lord. Thanks for the reminder that I need to get down on my knees and listen. I will keep you and yours in my prayers. See you in Heaven!!! Sitting at home in my 'easy' chair and marveling at the wisdom of this young lady I had the opportunity to visit with a year ago. It was an honor to witness her love and devotion for all her children she cares for. Continue to pray for Katie and support her efforts. Your commitment to Jesus Christ is so inspiring. I pray that my heart for servitude could grow to what yours is. I adopt and have foster children, but I carry a chip on my shoulder because no matter how much I love my kids, I still get paid to keep them. I wish I didn't need the money to care for them, but I do. Thank you for your encouragement. Beautiful, just beautiful. I needed this today especially. I need to bend lower still. You don't know me, and I don't know you. Not too sure how I stumbled upon your blog, but I can tell you that you are an absolute inspiration. My heart is moved by each sentence you write knowing you are in a deep, abiding relationship with your Creator, doing the only thing that makes sense to you, now that you share His heart. Thank you. Thank you. Thank you. Maybe one day my fiance and I can join you. She's going to be a nurse. Know there are those out there, nameless faces that are praying for you. We're praying for you everyday, Katie! I just found your blog and am loving reading it, thank you for sharing. It is beautiful and inspiring and convicting! Praying for you and your big, beautiful family. Beautiful... simply beautiful is a life laid down for our Jesus. You inspire me, you are a true servant of God. Than you for posting it is so motivating to me. I pray for you and your family, may God bless you abundantly. You are very inspiring. A true servant of Christ. Thank you for posting it encourages and motivates me to serve. I pray for you and your family may God bless you abundantly. the words we say to you could not begin to express to you even a tiny bit how the Lord feel about you. I thank God for giving you the heart He has. When I come here and read and look, the person I encounter is Jesus. I also thank God that we all are given the same opportunity ... to have people encounter Jesus in our presence ... right where we are. This is how the body of Christ encourages and builds itself up ... with testimonies of bent low love. You are amzing, and my eye opener. I am a mother of 3 and within the past couple of months God has chosen and called my husband and I to Uganda. I have been wrestling back and forth with how will i be able to homeschool and how will these people receive my family. But thank you for reminding me that its not about me. It's all about Him. May God bless you for your faithfulness to serve. Thanks for sharing your life with us ... for giving us a glimpse of what it means to live a sacrificial life of service (something that few americans have any idea of). Thanks for being an encouragement and an inspiration. Hoping your time with Gwen and Suzanne is Blessed Beyond Belief!!! I am speechless Katie! Thank you for these beautiful words that jumble up my insides in a way I can't even explain. God Bless you! You challenge me. You make me weep. I see Jesus in you. Blessed by your walk with our sovereign King. God has truly gifted you with His message. This is beautiful. Thank you for sharing. I am inspired to bend lower and to be more grateful for the backache. I love you and your family. here across the world, i live a shadow of your life...i bend to sweep, to cook, to comfort, bend myself in illness as another baby comes, bend to teach, to clean, to read His words, bend to kiss my 7 sets of sun kissed cheeks at night, bend my will to His as i remember it is in losing myself i will find myself. sometimes it is easy to forget He sees the mothers bent knee. sometimes it is hard to remember THAT is following in His footsteps and becoming perfect even as He is...funny how my vision of perfect looks so different than i thought it would~ your life is perfect, my life is perfect...a perfect offering, all things perfected through His love. Your words are insanely beautiful but at the same time cut deep. You are a true follower of Christ!! Thank you! Your words are touching and encouraging and my prayers are with you all! I am brought to tears at the beautiful picture of the gospel you and your family are to so many. Praise Him for giving you opportunity to be His hands and feet, and for encouraging your brothers and sisters all over the world. Amen to what Mike said about you (his comment on June 3, 2011 10.46 PM) You are so amazing! May the Lord bless you for your faithfullness to serve. Thank you for sharing. Always challenging me....to bend low without complaint...oh, to be more like Him. Katie, I was with Dwight's team from Colorado in Jan. You are wise beyond your years and that is because you are so very obedient to God. He is working through you each and every day. What a witness you are to so many spiritually starving people. God Bless you !!! We are praying for you endurance and strength to keep bending low. Katie. You are an amazing example of Christ's heart and will and this earth. You inspire me and you challenge me to grow deeper with the Lord and act more from His heart. You are an amazing blessing. Know that you bless the Father's heart and He is extremely proud of you. I am also proud if you and you are a blessing to me too! thank you for the work you are doing, its much appreciated that you can be the hands and feet of Jesus. so inspirational, He is well pleased! "I am face to face with Jesus in the dirt." These words resonate deep within my soul. Your work reaches farther than the country you are in. It is also spreading back home, waking the hearts of those who know better, but have chosen to life selfishly and indulgently. I am humbled and broken. Thank you for letting Him use you. Really inspired by this post...thank you for the reminder to live like Christ! Praying for you, sister. Though I only just "met" you, I am grateful to God for sharpening me through your obedience to Him (as iron sharpens iron). Great thoughts, and I, for one, am thankful that you shared. I think it is the honesty, authenticity and transparency that make it such a valuable read. Wow. What a beautiful blessing this post is. What a testimony. Thank you for encouraging all of us to bend even lower, and some of us to bend for the first time. I have never met you in real life, but through your magical words I feel I am walking with you on "the journey" - you are so inspiring to me! I read your blog from start to finish as if it were a book, and I am now anxiously awaiting the next post. You are living a life I wish to live - raising beautiful girls and doing beautiful work for Humanity. Please continue making this world a beautiful, better place! I "discovered" your blog through a link from another site on June 15th, the day before my 18 year old daughter left for a mission trip to Uganda. My daughter already knew of you and had been reading your blog for some time. I am amazed by your story and in awe of what God is able to do through someone who is wholly commited to him. What a role model you are for other young women. I pray my daughter will also be captured by God's heart for Uganda. I read your blog, SHC's and Amazima's blogs every week and I had begun to feel worthless and lazy next to you and SHC's dedication and work. I am a stay at home mom in the US, I have too much stuff and I complain way too much. I've been begging God to change my heart and to give me "real" Christian work to do. I just read this blog for the 3rd time and God nudged me to read your words in the context of my life and my "struggles". It made me realize that my work is not less important than your work and I need to approach it with as much love and dedication as you and Rene do, I need to sacrifice for those around me NOW. We don't get to choose where our work will be performed much of the time, esp if you are not listening for God to tell you where to go (me in my youth), but in the end God will ask each and everyone of us in Heaven, "What did you do for someone else while you were there on Earth?" Thank you for sharing your life and love for Jesus Christ our Savior with all of us. Blessings to you and yours. I read your blog all the time, but this is the first time I've posted anything. You are so inspiring with the work God does through you for those people. I will keep praying for you, and I know God is touching lives through you everyday. After coming home from 2 weeks of work in South Africa, I sat at VBS tonight. One lady said, "We are in the mission field," and I was reminded that we must look around us wherever we are and see His mission. May I bend low wherever I am, and seek to serve His children. Thank you for your encouragement Katie. May I teach my girls to serve others as you are teaching yours....by example. This blog is amazing! The work you are doing for the Lord is truly inspiring...I couldn't stop reading post after post. Praying for you and those you touch. Your life has touched so many others with stories of faith, hope, and genuine service. It made me think sgain how I can do my part to become a missionary even though I'm staying where I am now, I am filled with hope that I could make it happen. Thank you for letting us have a glimpse of your life. Missing so much to hear about you all. I pray God´s eyes are upon you and that yours don´t get away from Him. Thank you so much for the inspiration. Much needed. Consider medical school, maybe pediatrics or pediatric surgery. or plastic surgery (burn survivors), Ear nose and throat (cleft palate and lip repair). I know you are getting a lot of encouragement. Remember take care of yourself. You cannot take care of others until you are well enough yourself. Heard your story on NPR this morning, cried through the whole thing. Forwarding to my neice who has wanted to serve in Africa since she was nine. You are an unbelievable inspiration!!!! Amen. Amen. Amen. I came across your blog after hearing an NPR feature on you this morning. Your testimony brought me to tears. In it, I saw the true heart and deeds of Jesus. In it, I felt a warmth and love much more profound than my feeble words could ever articulate. In my own journey, I must admit that God's lessons about humility tire my flesh even while deeply enriching my soul. I often say that every time I don't think I can become any more humble, God figures out another way to show me otherwise. Isn't that the whole point of life, though? Thanks for reminding me once again that I have SO much work to do to become more like Him. You made me realize that becoming more and more humble goes hand in hand with bending lower and lower to serve Him. More than a blessing, it truly is THE only way to experience heaven on Earth. Thank you for reminding me that fulfilling His promise starts with ME today and no one else. Yes, every moment I breathe is an opportunity to bend. I pray for the strength to do so every second, every day. May God continue to bless you and yours abundantly. Amen. Amen. Amen. Wow! God bless you, Katie. Thank you for that last statement, it was just what I needed to hear. If you can raise 14 children at such a young age with little resources, then surely I can raise 3. Whenever I feel tired I will think of this. Thank you. Hello! I'm new to your blog, I heard about you through my friend Casia's blog-who I believe you've just met. I just wanted to say, what a powerful and moving entry. What a gifted writer you are... and what a gifted woman. I look forward to following you and your journey, and I look forward to praying for you and your family each day. I to am servant but havent served in a while. Busy. Thanks for reminding me of the pleasure one gets for doing for others. Your inspiring. What God is doing through you is superb!! It's changing lives in Africa AND all over the world. Anyone who reads your blogs is a changed person. I am!! I thank God that He molded you in this way. To help save us all from ourselves. To STOP Populaton Me' and start looking around for those in need of a helping hand, a kind word, a bowl of food...whatever it takes! Your blogs are my 2nd Bible. They are becoming air to me... I can't have my day until I have read and re-read your blogs. I pass what you are doing on to whoever will listen. You are a miracle! Your words...powerful, convicting, brought me to tears. I, too, am learning to bend - lower still. Thank you for your encouraging words...they are power, truth, convicting, and demand humility on my behalf. I am learning to bend - lower still. Thank you for being Christs hands and feet in this dark world. You inspire us. Praise God for your heart which he endwells!! This brings me back to the Gospel and reminds me of the humility and love and grace of my Savior. May we all live like Him and be an example like you. Keep loving. And you give all the praise and joy and credit to Jesus, because He is your inspiration, your strength. Your writing is graphic and powerful. A Max Lucado type of message for me. I have you blog now bookmarked. I have committed to go to Uganda summer of 20012 with a few my daughter is leading with her husband through Children's Hopechest. You help me realize there is so much that can be done. So much. A little late to comment on this post probably but I have found lately that I say "awesome" a lot. I hate using words that really have a profound meaning too much because it loses some of the impact I think but Jesus has shown himself alot to me lately and I can't keep from saying "awesome" because I can't think of a word to describe His greatness not nearly enough..I don't think there is one. I was humbled before I read this blog, this entry is awesome. Prayed for you..
Is there anyway I can come and serve in these ministries? I'm a Christian and have no children. 46 year old female from US and would love to take care of these children. I admire Kate for taking such loving care of these children. Wow you have taken the word servitude to a new level in my heart! i pray for you and your babies. to bend low, that God bends low to listen to me, to love me, that Jesus made himself low to serve me, and i cannot move one finger to serve? ive been sick for two years now, and it has taken its toll--kept me from serving, loving in the way that i want to, even though i have four children. i have known that joy before. i want it again--all for His glory and that i could be satisfied in Him. thank you for writing this--for being honest and for letting the eyes be upon you. because we need to hear your story. Our priest read this entry from the pulpit about a month ago. Challenging all of us to "bend low". I've been following your blog since then and just received your book as a gift from my husband. We are beginning the adoption process next Tuesday. With four still at home in a small 3 bedroom one bathroom we hope and pray we will still be accepted. You are in our prayers. Pray for us as we also seek to follow God's will. My favorite post. I read it all the time. I know exactly what you're talking about, but sometimes I need to be reminded that bending into the dirt of Kenya is worthwhile, because we see the very face of Jesus Christ in that dirt. In the orphan's faces. In long nights with a baby struggling to hold onto life.